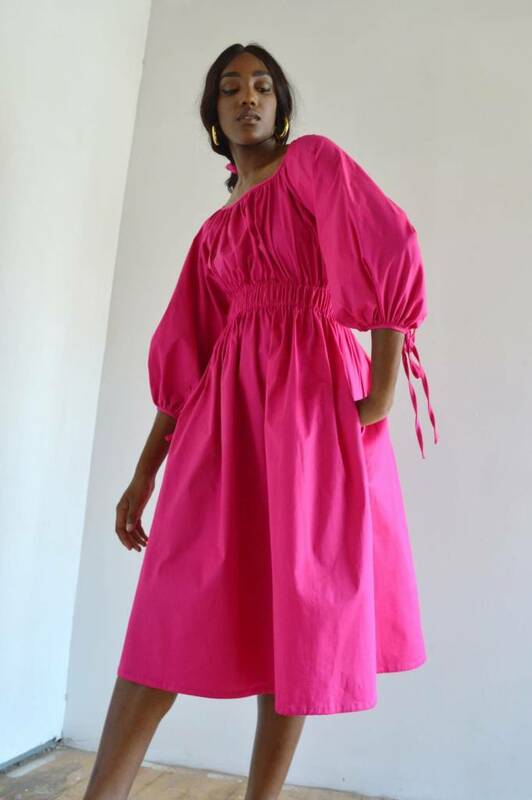 Pink cotton dress with puff sleeves and wrist ties. Has a wide elastic waistband, gathered neckline and pockets. As a teenager Eliza's goal in life was to move far, far away and to be a fashion designer. At 19, she realised this dream when she was accepted to study fashion design at Central St. Martin's College of Art & Design in London, England. During her studies, she interned with Erdem, Roland Mouret, Zandra Rhodes, and in the PR offices at Browns. Eliza's graduation from college coincided with the recession and a study visa that was running out. Fed up with the life of an unpaid intern, and with no job prospects, she had nowhere to go but home...to the sleepy Cowichan Valley on Vancouver Island. Without 'proper' work experience, she couldn't find a design job and so resigned herself to small-town life, working in the back room of her mother's shoe shop and writing about style for the local newspaper. At nights, she continued to design and make dresses, selling them off quickly to eager friends and family. From those first dresses made entirely in a cabin on Vancouver Island, Eliza Faulkner has since gained recognition across North America for its clean lines, feminine silhouettes, and playful, relaxed attitude towards dressing. In 2014 she was nominated in the Emerging Talent Category at the Canadian Art & Fashion Awards and ELLE Canada named her 'One of the Top Ten Canadian Designers to Know'. 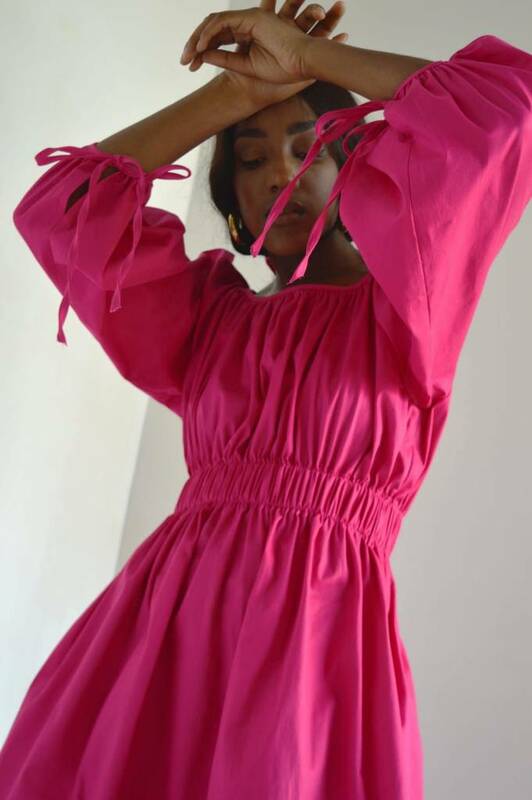 Eliza Faulkner has established a dedicated following, with her designs being worn by the likes of Marisa Tomei, Nikki Reed, and Kelly Clarkson. Eliza Faulkner clothing is designed and ethically manufactured in Montreal, Canada.